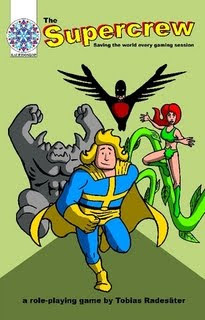 Back in 2010, I wrote a review for a Swedish super hero roleplaying game called THE SUPERCREW. Some time has passed since that review, so given the obscurity of the game I thought that I would share the review again. I have made some slight edits to update the review and provided information from an update I did a couple of months after the initial review. This is a rare game, but you should check it out. Every now and then, there comes along a product that manages to simultaneously appeal to several of my obsessions. The Supercrew roleplaying game by Tobias Radesaeter is one of those products. The game combines my interest with the indie game movement with my obsessive need to own every superhero roleplaying game ever published. As numerous re-reads of Superhero 2044 prove to me time and time again, the targets of my obsession do not always lead to enjoyable (or even understandable in the case of 2044) experiences. 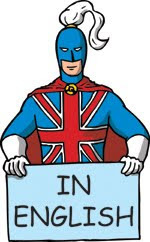 The superhero genre features characters of near unlimited potential, and who possess a vast array of capabilities. Any game designed to emulate the feel of the source material faces a daunting challenge. How does one design a game that can simulate an almost infinite collection of powers and abilities, yet is also as fast and exciting as the source material being emulated? It's not easy to do, and it is one of the reasons that some successful superhero systems are also successful "universal" systems. For a while, it seemed as if all decent superhero systems were also universal systems. The indie game movement, with games like Capes, proved that being universal wasn't a necessary condition of a superhero game and that games could be designed based on emulating the feel of comics without granularly emulating the physics of them. Games like Capes are a part of the narrative focused game design that influences a lot of what is going on the indie gaming community. Design choices in these games focuses more on how a particular mechanic can help to create a collaborative "playing story" rather than a quantified gaming representation of "reality." To be reductive for a moment, these games have a narrative rather than a gamist focus. Supercrew takes a fairly strong narrativist approach to the superhero genre in it design choices, and even makes one small quip regarding gamist style games, and even presents its rules in a narrative format. Supercrew's thirty-page booklet presents the games rules in a comic-book panel format. The first game to attempt this approach was the unplayable He-Man and the Masters of the Universe RPG by FASA. It's a novel approach to introducing roleplaying concepts and mechanics, and in the case of Supercrew is done in an effective manner. The rules are presented in a logical and engaging manner. They are also very easy to understand, making this game a potentially great introductory roleplaying game -- in addition to its potential use as a narrative rpg for experienced gamers. Supercrew begins with an interesting premise as a game within a game. The central conceit of Supercrew is that all of the superheroes designed by the players are their own alter-egos. As the game explains it, "The players play super-powered versions of themselves. Each adventure starts with them playing a role-playing game when they hear about some kind of emergency they have to stop." You read that right. The players are playing characters who are playing a roleplaying game that gets interrupted and needs their superheroic intervention. When I first read that the players play versions of themselves, I was reminded of the character design system for the revised edition of Villains and Vigilantes so I didn't think Supercrew's approach was too novel. Then I read the sentence where the rules describe it as a game where the "characters" have shown up to play an rpg, only to have it interrupted, and a number of wonderful uses for this game popped to mind -- this is before I read a single rule. Every group has players who show up late, or cannot make it to a particular session. If your group is playing in a long term campaign, you often don't want to continue the adventure without the player as it could make the player feel left out as their characters don't earn as many experience points or miss out on key plot points. You also have to consider the feelings of those players who did show up. They are there to have a good time and to play a game. If your group agrees to use Supercrew as the backup campaign, it's central conceit is perfect for these occasions. Let's say Jim doesn't show up to your regular D&D campaign. You begin the session as normal, "when we last left our heroes," but somewhere in the middle of the first encounter you do your best radio static impression and blurt out "News Alert! Baron Ravenblood and Persecutus are holding the city hostage threatening to destroy the Gas Company building unless the mayor wires $1 billion into their bank account by 3pm." The players grab their Supercrew character sheets, and their "characters" excuse themselves from the D&D game to fight for great justice! Sounds like fun, but does the system work? Characters in Supercrew are constructed using three main abilities and three tricks which are particular uses of these abilities. The powers are ranked from 3 - 1 in order of power. Three is the most powerful ability, two is the most frequently used ability, and 1 is the least powerful ability. It doesn't sound like a lot of powers to give a character, but it actuality this is a pretty robust system. Christian wants to make a character based on everyone's favorite Flight, Invulnerability, and Super-Strength character. To avoid copyright attorneys suing his game group, he decides to name the character Superior! He give the character the following powers Heat Vision, Inert_Gas-ian Physique, and Flight. He states that Heat Vision is Superior! 's most potent ability (as is often described regarding our favoring FISS character, though rarely believed) at rating 3. Inert_Gas-ian Physique, Superior! 's most frequently used power, is given a rating of 2. Finally, Christian gives Flight a rating of 1. Inert_Gas-ian Physique is a broad descriptor that encompasses super-strength, super-speed, x-ray vision, super-breath, and invulnerability. There is no reason to quantify each individual power, as would be done in more granular systems, since the broad descriptor's effectiveness is determined by the associated rating. The effects of powers are determined by the roll of ordinary six-sided dice. The player rolls a number of dice equal to the abilities rating. Those dice that have a result of 4 or greater are considered successes, lower results are considered failures. This is a system similar in basic structure to Burning Wheel or White Wolf's World of Darkness systems where pools of dice are rolled and successes counted based on the results of individual dice. The game enforces the use of ineffective powers, and limits the usage of the most potent powers, by requiring that heroes spend "hero points" in order to activate the rank 3 power. The only way to acquire hero points is to either use your rank 1 power or to be knocked unconscious in a battle. Each of these gives the character a hero point that may be spent later to activate rank 3 powers. This is an elegant design choice that undermines overt power-gaming where players would minimize/maximize abilities to tweak a game system in their favor and hold more "power" than other gamers. In this system, that is relatively impossible. Even if the player chooses a broad ability descriptor, like Superior!, since how an ability is used is determined when the player's describe what they are doing the broad descriptor is no more useful than the narrow one. After all, the Shade Knight can apply his "Keen Intellect" descriptor just as broadly as Superior! 's Inert-Gas-ian Physique. For any given task, the Game Master sets a success threshold. The individual character can only contribute toward passing that threshold, once per round -- or once per task for certain tasks. Teams must work together to succeed at fighting earthquakes and burning buildings. In combat, and in other situations, the player first states what ability they wish to use. They do not describe how the power is used, or its effects, until the number of successes achieved is known. In a recent post discussing the Dragon Age RPG by Green Ronin, I discussed how I liked how Dragon Age's stunt system allowed for more narrative combats. Supercrew's system is attempting a similar effect here, the benefits of "roll before you describe" are discussed at length at GamePlayWright. Once the player knows how many successes the character has achieved, and how many total successes are needed for an action, that player -- whether he completed the task or not -- describes what happens. This game is very much about the player, knowing the results, creating the narrative regarding how his/her character succeeded or failed. Typical of many modern narrative games, this player empowering approach can be disorienting or empowering depending on your group's preferred method of play. The combat rules are an extension of the basic task resolution system, and the game provides some excellent examples of how they would represent villains, groups of thugs, or hazardous events like building fires. The system looks like it works and it looks fun. Simple but able to simulate a broad array of activities, what designers often call "robust." I have two major, and one minor, criticisms of Supercrew. While the game provides some examples of how they would represent villains, thugs, and hazards, the game provides not guidelines or benchmarks to help the game master. Experienced game masters may not technically need these in order to run a game, but they would be exceedingly helpful. This is an even larger flaw when considering the fledgling game master. The games rules and concepts are perfect for the new gamer, in addition to the experienced gamer, but the new gamer needs more assistance when creating opponents for their players. Some comments regarding balancing encounters, more than just the examples, would have been greatly appreciated. The game also lacks any real online support, which is tragic as the game deserves more. The rule book says to visit the Kaleidoskop site for character sheets etc., but the majority of game aids are in Swedish. 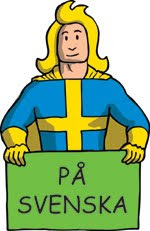 For example, their Hjältegalleri which features a number of characters created using the system is entirely in Swedish. It would be helpful to have English versions of the characters. While it isn't difficult to figure out what Gravitationskontroll or Noll Friktion are in English, Osynlighetskappa is another matter entirely. Thankfully, Christopher B at A Rust Monster Ate My Sword has designed an excellent character sheet for use in the game. Lastly, and this is a minor quibble, the game's prose isn't quite funny enough. I would have liked more jokes. Given the entertaining cartoony art in the rulebook, some more jokes would have been appreciated. Maybe it's just the translation that lacks the humor, but I'd have liked more. In conclusion, I think that this is an excellent game at a reasonable price. It isn't likely to replace Savage Worlds' Necessary Evil campaign in my game rotation any time soon, but I think I'll be trying to fit it in when some players don't show up for our regular sessions. I wish some of the early professional efforts where as clearly explained and thought out as this gem.